Frog and Toad Together by Arnold Lobel is another great Frog and Toad book. It is easy to read and follow, with simple language. This book also is relatable to students as they likely do the same activities in the book with their own friends. With that being said, this book would be excellent for a Connections activity--specifically text to self. Many connections can be made for friendship, activities/hobbies, kindness, etc. 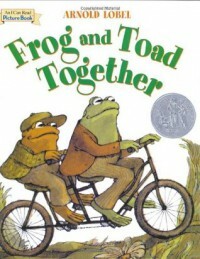 The students can write about how they can make connections between Frog and Toad's friendship and their own friendship with their siblings, parents, or friends.